The Pentair WhisperFlo IntelliFlo 2 WFL-VSF pumps feature cutting edge motor technology to offer a truly variable speed & flow pump. The ENERGY STAR® certified variable speed motor technology can offer energy savings of up to 90% when compared against a single speed pump. An in-built control panel allows for full control of speed and flow rate whilst also providing diagnostic information. Timers can be programmed in to perform at certain speeds and flows at given times. The control panel can be left mounted to the motor body or installed elsewhere for easy access. 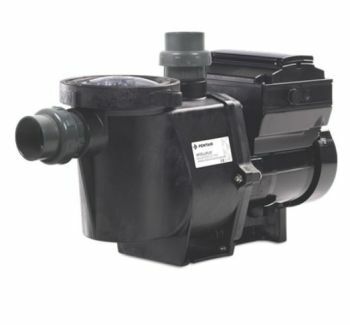 Pentair WhisperFlo pumps are the quietest pumps on the market with a rating of just 45dB; quieter than moderate rainfall.